This week we’re gonna beckon you to the light and ask you to embrace the darkness. 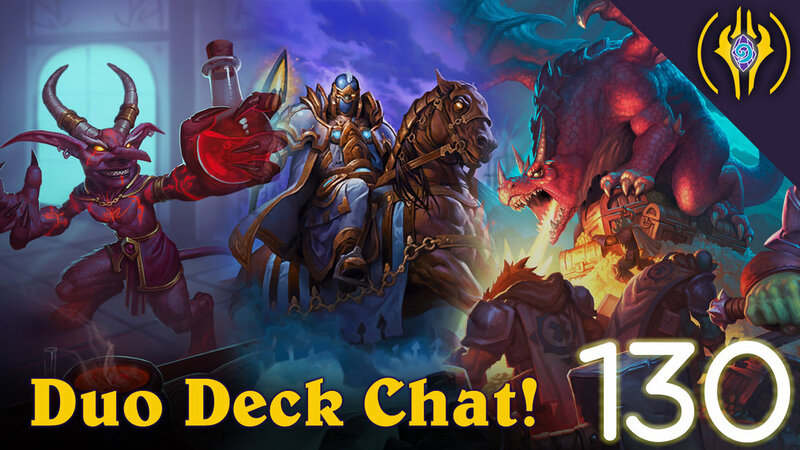 Rob is not with us, as he taking a much needed break, so we’ve decided to talk about two decks this week 1 for standard and 1 for wild! So buckle up and sit by the fire! This week's Brawl: Venture into the Wild. It’s a pre-made deck brawl. Pick a class and play with Wild cards. Gonna take this time to make a PSA. You can re-roll quests. Yes the little red x makes it look like you are going to delete them. On second thought it’s not very intuitive.